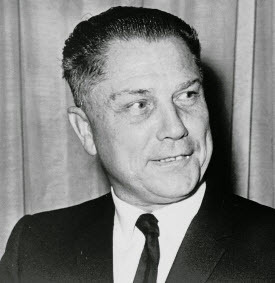 Legendary NASCAR driver Richard Petty and former Teamsters General President James R. Hoffa are two people you would likely never mention in the same sentence. But they have one of the most unique and interesting connections in the history of labor in sports: they both attempted to unionize NASCAR drivers. The Teamsters offered loans to save Charlotte Motor Speedway, which was on the verge of failure because of massive cost overruns incurred in building the track. France banned Turner and Flock for life. Both were later reinstated, though Flock never won another race after his ban.